Everybody will be different so it’s important for each man to know what is and isn’t normal for him, however, a normal testicle should feel smooth and firm but not hard. 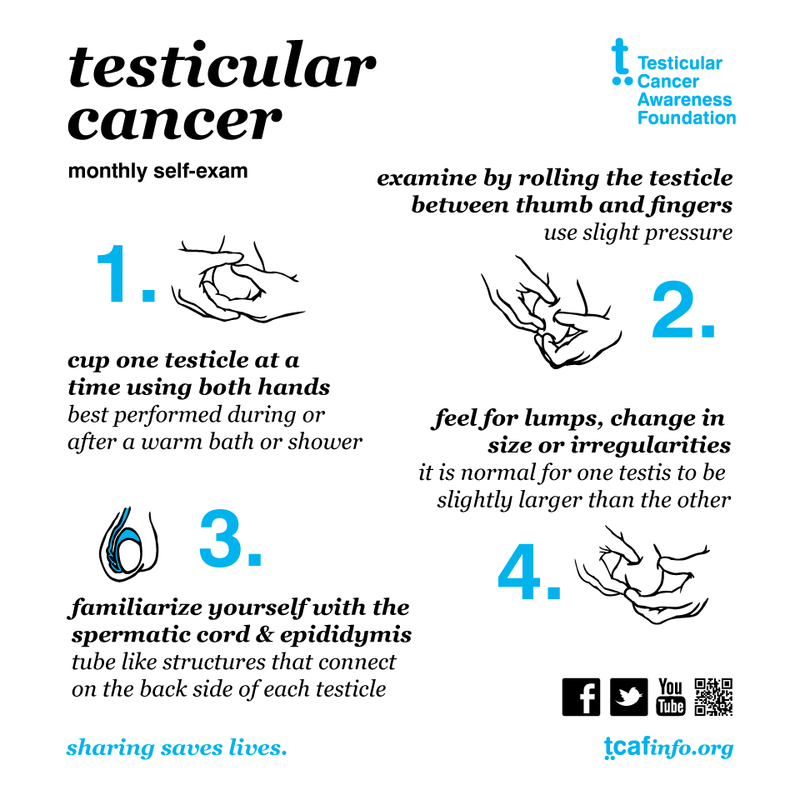 After a bath or shower is the best time to check when the scrotal skin is relaxed, Hold your scrotum in the palm of your hand and use your fingers and thumb to examine. Feel for anything unusual to you- lumps, swelling or differences between your testicles. If you notice anything abnormal, go to your doctor or local sexual health clinic. To watch Chris Hughes from Love Island do a live testicular exam on This Morning, click here.